This is a new programme implemented by the University from 2007. The course focuses on creating manpower with domain knowledge of agricultural sciences and the concepts of business management to serve as professionals in agriculture, food industry and rural business. The students admitted will have excellent exposure to agribusiness management and rural marketing by extensive interaction with the industry. Center of Agribusiness Management Birsa Agriculture University, Ranchi offers various graduate courses as well as Post Graduate courses. 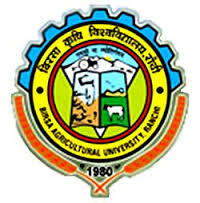 Center of Agribusiness Management Birsa Agriculture University, Ranchi is affiliated to Birsa Agricultural University (BAU), Ranchi. List of facilities available at Center of Agribusiness Management Birsa Agriculture University, Ranchi for students.